Kancha Ilaiah’s Post-Hindu India should be essential reading for all who get panicky about Mayawati’s brand of Dalit politics. Unlike the bsp supremo’s bid to empower marginalised groups through the levers of electoral democracy by wooing a wider ‘sarvajan samaj’, Ilaiah wants to launch an all-out civil war between Dalit Bahujans and Hindu society. This is an angry, provocative book written by a leading Dalit thinker, who is convinced that Hinduism is the root of all evil in the country. Indeed, virtually every sentence here drips with venom against Hindu society, underlining why we need Mayawati’s social engineering skills to succeed. Despite the outrageous nature of Ilaiah’s onslaught on Hinduism, it would be unfair and inaccurate to describe him as just a poseur. He is no armchair scholar but a self-made ‘organic’ intellectual who grew up in an impoverished shepherd Kuruma Golla (not Dalit, but poor backward caste) family in the forests of Andhra Pradesh. His mother, who cast a seminal influence on his thinking, was a fierce fighter for his community and was actually killed while battling forest guards. So there is a ring of genuine commitment and passion in whatever Ilaiah says, however confrontational it may be. There is also much to learn from the author, a political science professor at Osmania University, Hyderabad, as he painstakingly unravels the scientific talent and social skills of various tribal, Dalit and backward caste communities, albeit mainly from Andhra. Ilaiah is right that much of these customs and practices have remained little known, because established social anthropology and history have sought to highlight only the life and times of dominant caste groups. The other refreshing, rather curious dimension of the book—considering the author is a man—is its vigorous espousal of women’s rights even as Hinduism is criticised for keeping down the feminine gender along with other underclasses. Unfortunately, despite these thought-provoking insights, the book loses much of its credibility because of the author’s obsessive zeal to deprecate Hinduism. This lack of balance is evident from Ilaiah’s attempt to tarnish the Hindu faith as “spiritual Fascism” as opposed to “spiritual democracies” like Islam, Christianity and Buddhism. Even if one was to concede that unlike Hinduism, the others are unburdened by a codified caste hierarchy, to glorify them as all-embracing democratic religions is way over the top, particularly in the case of Islam and Christianity. He seems to conveniently forget the many iniquities of the two faiths as they have been practised over the centuries, and that even if they did not have an internalised caste system, they were no less guilty than Hinduism in ill-treating or ostracising others, both within and outside the community. Ilaiah describes Hinduism as “spiritual fascism”, as opposed to the “spiritual democracies” of Islam, Christianity and Buddhism. Nor does Ilaiah’s utopian dream of a spiritual democracy propelled by any united push from Dalits, backward castes and tribals have any basis in the real world. We have seen how, in the only state where Dalits have managed to achieve political empowerment, their main opponent has not been the Brahmins or other upper castes but the Yadavs, a community which the author places firmly in the bahujan social segment. 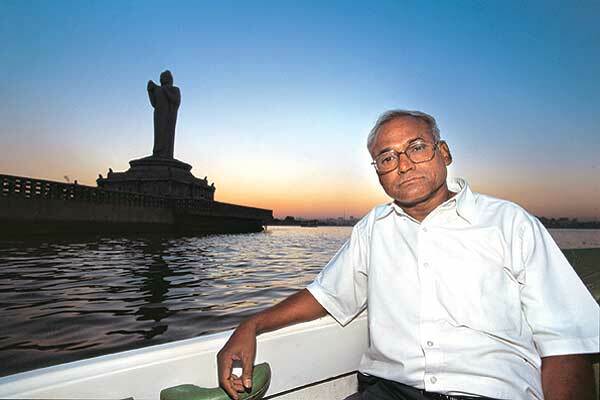 Indeed, this fierce hostility between the Dalits and one of Ilaiah’s chosen bahujan communities is the result of the standoff between the former, who are landless, and the latter, who are their landlord oppressors, which renders fallacious the author’s logic. Similarly, Muslims, another social segment in Ilaiah’s proposed coalition, are not unanimous in their approach to Dalits or tribals. In fact, there are many Muslims, particularly in the upper crust, who would much rather have a Brahmin-Hindu leadership. Even tribals and Dalits are not always on the same side, as seen tragically in the Kandhamal carnage when tribals massacred Dalit Christians. Clearly, Ilaiah’s prediction about the demise of Hinduism based on the future formation of a giant anti-Hindu congregation is far-fetched. Interestingly, the author, otherwise publicly supportive of Mayawati and her politics, is silent in the book on her social engineering experiments in Uttar Pradesh and the remarkable success she has had in manoeuvring Brahmin-dominated political parties and communities to empower Dalits.